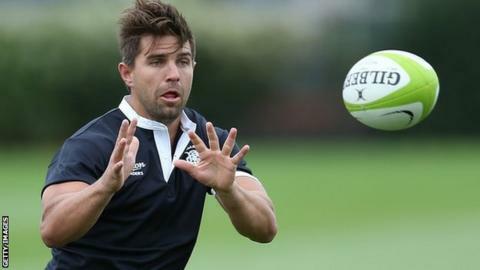 Worcester Warriors have signed experienced former South Africa centre Wynand Olivier on a two-year contract following his release by Montpellier. Olivier, 32, made three appearances at the 2007 Rugby World Cup when he was part of the Springboks' winning squad. At club level, he played from 2005 to 2013 in South Africa for his province side Bulls, with whom he enjoyed Super Rugby and Currie Cup success. He then spent two seasons in France, making 38 appearances for Montpellier. Olivier, who becomes boss Dean Ryan's 13th signing of the summer, played at Montpellier alongside new Warriors prop Na'ama Leleimalefaga. Locks: Donncha O'Callaghan (Munster), Darren Barry (Cornish Pirates), Tevita Cavubati (Ospreys); Flankers: Marco Mama (Bristol - loan), Phil Dowson (Northampton) Carl Kirwan (London Welsh); Props: Derrick Appiah (Italy Under-20s), Na'ama Leleimalefaga (Montpellier).Wingers: Andy Short (Bristol), Bryce Heem (Waikato Chiefs); Centre: Wynand Olivier; Scrum-half: Luke Baldwin (Bristol); Fly-half: Tom Heathcote (Edinburgh). "Sixways is an exciting place to be with all the changes and developments taking place," Olivier said. "The vision of the club is something that would appeal to any professional athlete." Director of rugby Ryan added: "Wynand is another example of a player that brings international and European experience which is essential to the balance of a successful squad. "He will add competition for places while also being able to contribute to the development of our youngsters." Olivier, who played at Sixways against Worcester for the Barbarians in a pre-season game earlier this month, has won 38 caps for South Africa.